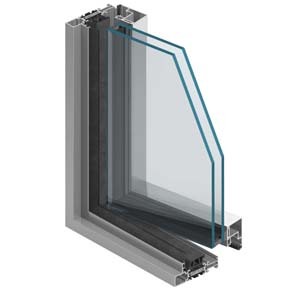 Aluprof S.A. is one of the leading European distributors of aluminium systems for the construction industry. 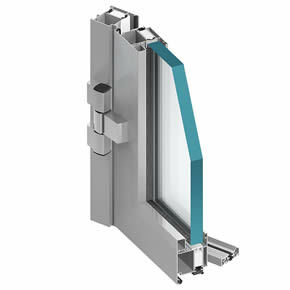 Aluprof’s range includes window, door and façade systems and systems for roller shutters and gates. An extensive logistical base, state-of-the-art machines, stamping of profiles within the group of companies and their own paint shops together allow the company a full independence and flexibility in the market, which has for many years resulted in growth in the portfolio of customers and geographic coverage. 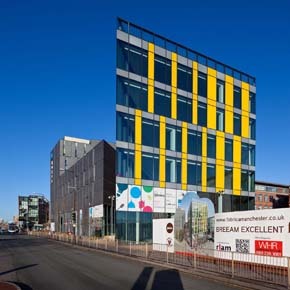 Aluprof UK head office and extensive distribution centre is located in Altrincham, Cheshire. 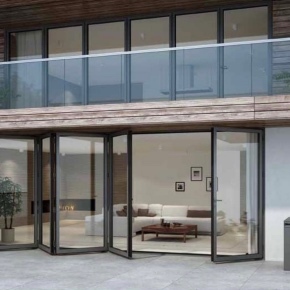 Aluprof systems increasingly being specified on a wide range of residential and commercial projects across the UK. Systems are designed, fabricated and installed by selected, specially trained companies, to ensure each fabricated product meets Aluprof exacting standards. 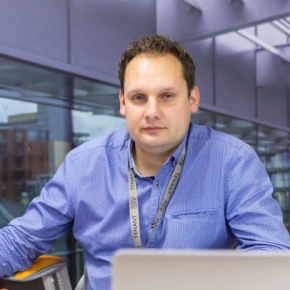 Further information is available on our company’s website at www.aluprof.eu and specialist advice is available directly from Aluprof on 0161 941 4005. 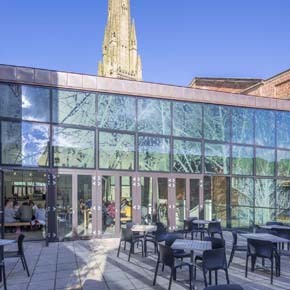 Aluprof is working to deliver competitive installations in conjunction with its extensive network of experienced fabricators and installers. 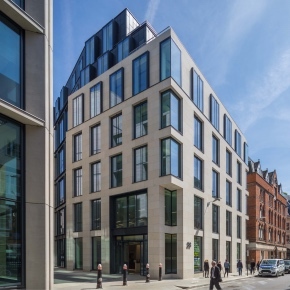 Aluprof has opened a new office in Islington to deal with the increasing number of façade specifications using the company’s architectural aluminium systems. The MB-86 FOLD LINE features a hinged stile sight line of just 133mm – one of the slimmest currently on the market. 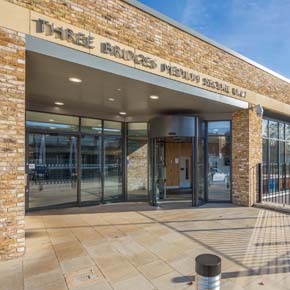 Aluprof has supplied its MB-SR50N curtain wall system to a medium-secure mental health unit at St Bernard’s Hospital in London. 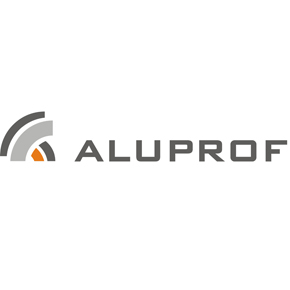 Aluprof has announced the launch of its new MB-60E EI aluminum fire screen system. 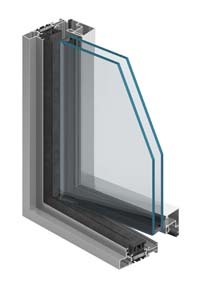 Aluprof has launched its new ‘MB Slimline’ system, designed with its slimmest window frame sight lines and increased light transmittance. 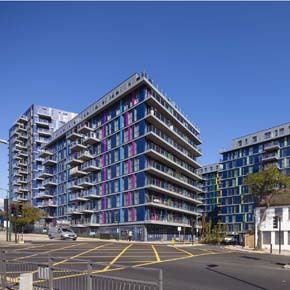 A range of window and curtain walling systems manufactured by Aluprof have been installed at a striking new residential development in North London. 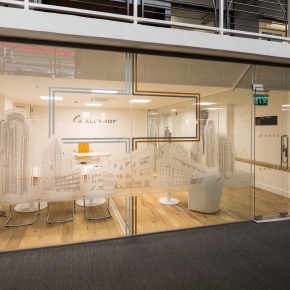 Sustainable aluminium systems from Aluprof have been developed to gain the highest level of BREEAM points for new and refurbished building projects. 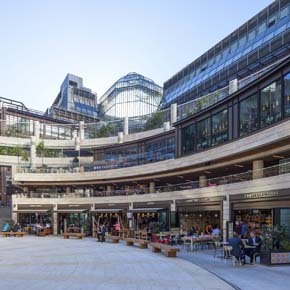 A range of Aluprof systems have been specified for a diverse venue of restaurants, cafés and bars at Broadgate Circle, in London. 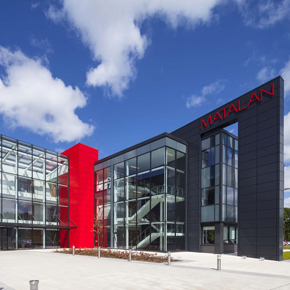 Aluprofs’ range of aluminium framed glazing systems have been specified for the external façade of Matalan’s new headquarters at Knowsley Industrial Park.